NO PURCHASE NECESSARY TO ENTER OR WIN. A PURCHASE WILL NOT IMPROVE YOUR CHANCES OF WINNING. THESE OFFICIAL RULES (“RULES”) ARE A LEGALLY BINDING AGREEMENT BY AND BETWEEN PARTICIPANT AND SPONSOR (DEFINED BELOW) AND GOVERNS ENTRY IN THE SWEEPSTAKES. BY PARTICIPATING IN THE SWEEPSTAKES, PARTICIPANT AGREES TO ABIDE BY THESE RULES AND THE RULES, POLICIES AND PROCEDURES LOCATED ON TWITTER, INSTAGRAM AND FACEBOOK. Failure to comply with these Rules AND THE TWITTER, INSTAGRAM AND FACEBOOK rules, policies and procedures will void A PARTICIPANT’S entry. This Contest is in no way sponsored, endorsed, administered by or associated with Instagram, Twitter, or Facebook. Contest (“Contest”) ends at the date and time stated within the associated post (the “Entry Period”). The sponsor of the Contest is Cleveland Golf / Srixon. The Contest is subject to these Rules, and by entering, all participants or their parents or legal guardians for those participants between the ages of 13 and 18 agree to be bound by these Rules. Certain restrictions may apply. A PARTICIPANT’S ENTRY INTO THE CONTEST WILL BE DEEMED TO BE A REPRESENTATION THAT THE PARTICIPANT IS 18 YEARS OF AGE OR OLDER OR BETWEEN THE AGES OF 13 AND 18 AND ENTERING THIS CONTEST WITH THE PERMISSION OF A PARENT OR LEGAL GUARDIAN WHO AGREES TO BE BOUND BY THESE RULES. IF YOU ARE A PARENT OR LEGAL GUARDIAN AGREEING TO THESE RULES FOR THE BENEFIT OF A CHILD BETWEEN THE AGES OF 13 AND 18, YOU ARE FULLY RESPONSIBLE FOR HIS OR HER ENTRY IN THE CONTEST, INCLUDING WITHOUT LIMITATION ANY LEGAL LIABILITY THAT HE OR SHE MAY INCUR. The Contest is open only to legal residents of Europe. To be eligible, a participant must be at least thirteen (13) years of age or older as of the date of entry. Employees of Sponsor, Facebook, Twitter, Instagram, their immediate family members and those living in the same household, and their respective affiliates, subsidiaries, parent and related companies, officers, directors, contractors and agents are not eligible. All federal, state and local rules and regulations apply. One (1) entry per participant. Multiple participants are not permitted to share the same email address. In case of dispute, an entry will be declared made by the authorized account holder of the e-mail address submitted at the time of entry. “Authorized account holder” is defined as the natural person who is assigned to an e-mail address by an Internet Access Provider, on-line service provider, or other organization (e.g., business, educational institution, etc.) that is responsible for assigning e-mail addresses for the domain associated with the submitted e-mail address. Automated entries are prohibited, and any use of such automated devices will cause disqualification. 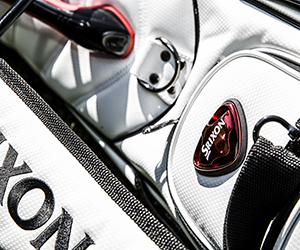 Any photograph must be a participant’s sole creative work and must not incorporate ideas or work of any other person or material that would require the consent of a third party in any jurisdiction or under any applicable law, other than Cleveland Golf / Srixon product images. Without limitation, the design must not infringe or violate any trademark, copyright, publicity right, privacy or any other right of any other person or entity, under any applicable law. Odds of winning a prize depends upon the total number of eligible entries received for the Contest. Sponsor will not be liable to Winner or any other person for failure to supply any prize or any part thereof, by reason of any acts of God, any action(s), regulation(s), order(s), or request(s) by any governmental or quasi-governmental entity (whether or not the action(s), regulation(s), order(s) or request(s) prove(s) to be invalid), equipment failure, terrorist acts, earthquake, war, fire, flood, explosion, unusually severe weather, hurricane, embargo, labor dispute or strike (whether legal or illegal), labor or material shortage, transportation interruption of any kind, work slow-down, civil disturbance, insurrection, riot, or any other cause beyond Sponsor’ control. By entering this Contest, participants agree that neither Sponsor, Twitter, Facebook nor Instagram shall be liable for personal injuries, death, damages, expenses or costs or losses of any kind resulting from participation or inability to participate in this Contest or acceptance of or use of or inability to use the prize or parts thereof, including, without limitation, claims, suits, injuries, losses and damages related to personal injuries, death, damage to or destruction of property, rights of publicity or privacy, defamation or portrayal in a false light (whether intentional or unintentional), whether under a theory of contract, tort (including negligence), warranty or other theory. Winner releases Sponsor from any and all liability and responsibility with respect to the prize (including any property loss, damage, personal injury or death). Winner acknowledges that Sponsor has neither made nor is in any manner responsible for any warranty, representation or guarantee, expressed or implied, in fact or in law, related to the prize. If for any reason, this Contest may not be conducted as planned by reason of any entry that, in Sponsor’s sole opinion, corrupts or affects the administration, security, fairness, integrity, or proper conduct of this Contest, false and/or deceptive entries or acts, including the use of automated launching, voting or entry software shall render such entries ineligible and the participant will be disqualified. Sponsor reserves the right, at its sole discretion, to disqualify any individual implicated in such action, and/or to cancel, terminate, modify or suspend this Contest or any portion thereof. In the event this Contest is canceled, terminated, modified or suspended, Sponsor, at its sole discretion, reserves the right to select a Winner from remaining eligible entries or conduct a random drawing to award the prize from among all eligible, non-suspect entries received before the time of the action or event warranting such cancellation, termination, modification or suspension. If such cancellation, termination, modification or suspension occurs, notification will be posted at www.clevelandgolf.com. CAUTION: ANY ATTEMPT BY A PARTICIPANT TO DELIBERATELY UNDERMINE THE LEGITIMATE OPERATION OF THE CONTEST IS A VIOLATION OF CRIMINAL AND/OR CIVIL LAWS AND SHOULD SUCH AN ATTEMPT BE MADE, SPONSOR RESERVES THE RIGHT TO SEEK DAMAGES AND OTHER REMEDIES FROM ANY SUCH PERSON TO THE FULLEST EXTENT PERMITTED BY LAW.